Choosing the right best quartz countertop colors are sure to enhance aesthetics and functionality of your kitchen, choosing the wrong color however only leads to ruined appearance. This especially important if you are looking to sell your property as the kitchen is one of the major focal points of prospective clients. Choosing the right color however for your countertop is not a walk in the park. This is informed by the sheer number of considerations that need to be taken into account before making a good choice. While the color of cabinetry definitely goes a long way in determining countertop color, one has to look at the broader picture. Other major elements and visual considerations that need to be put to the fore in order to choose the best color include furniture, backsplash, lighting, appliances, flooring, space considerations and wall color. From midnight black to swirl, there are a lot of colors to choose from once you have picked to install a Quartz countertop. 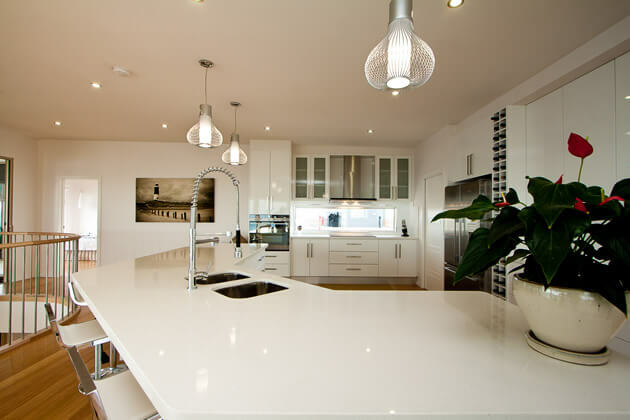 Quartz countertops manufacturers have developed many colors that are guaranteed to leave you spoilt for choice. This is why we have come up with a list of stunning Quartz countertop colors and their application just to make your work easier. Pure white is a classic and simple color that you cannot go wrong with at any time. Because pure white can only be achieved by manufactured materials such as quartz, it projects a minimalist freshness that no natural stone can. Due to its unique features, a white quartz countertop is sure to resist stains and look new for many years. A white countertop can also be paired with a white cabinet in a compact kitchen to create the illusion of a bigger space. Marbled or softly veined white countertop is one of the most coveted since it gives out the natural richness of natural stone. They also create a special luxurious charm as well as a sense of comfort that everyone will appreciate. In fact, this is one of the reasons why they go well with brass accents. This quartz countertops color is good if you are looking to have the elegance of white but don’t want every speck of dust or dirt to show. This is also in addition to making your space feel bigger and lighter without feeling clinical. If you have a kitchen that features elements with predominately light colors, then a midnight black countertop is just the right one for you. This is because it sets the stage for something much more stylish and unique that can create a perfect black and white contrast. Black or dark countertops can also be applied when you are looking to create an atmosphere of harmony and blending in when you have other dark elements in your kitchen. As one of the most neutral colors you can ever use for your quartz countertop; it brings out a more subtle and delicate style to your kitchen. Indeed you can pair grey with playful and colourfull cabinets that may look too bold with other colors. Apart from also adding a serene foundation and romance to your space, the quartz countertops grey color also blends well with all interior design genres and kitchen tones. Finally grey is the perfect color to pair with warm metallic accents as it brings them out so that they really shine and look amazing. 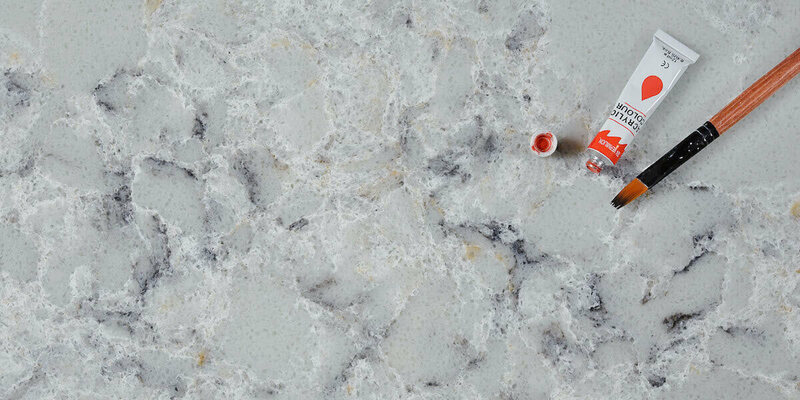 Featuring a mixture of different colors, hues, and patterns, a deep mix quartz countertop color is the king of contrasts. Due to its incredible neutral characteristic, it is sure to provide artistic quality and focus on your space. The deep mix is especially great if you are looking to create a masculine or industrial style. If you live in a home with traditional settings, then you should definitely go for a creamy shade. This is not only due to its conservative nature, but also because it complements well with other colors such as teal or cranberry. Are you a carefree and bold character that can’t get enough of visual drama? Consider installing a purple quartz counter top to boost aesthetics, as well as add some mystery and femininity to your interior kitchen space. This entry was posted in Quartz Countertops and tagged quartz countertops colors, quartz countertops colors for kitchens, quartz countertops manufacturers.